In which sometimes a cigar is just a cigar, but an egg is never just an egg. This commentary assumes you’ve at least seen the episode(s) under discussion. It occasionally hints at future events or calls attention to recurring themes, but will be free of specific spoilers unless otherwise noted. 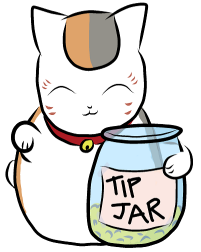 As a reminder, please be courteous to newcomers in your comments and mark all spoilers as such. No. Anthy probably sent it to her (using the absent Chu-Chu), the same way she sent the cowbell last arc, because Anthy’s never quite forgiven her for that dissolving dress incident, and also because she may see some of herself in Nanami’s brother-worship and be trying to steer her down a less destructive path. Beyond that, Utena newbies may be surprised to discover that this is one of the most well-regarded and discussed episodes, because in addition to being silly and weird and a fun check-in with the entire cast and a nice thematic setup to later events, it is also a massive, glorious blending of adolescent and social metaphors. The egg is growing up as a woman in modern society. It is adulthood and how each character reacts to it. Also, the egg is everything. WE ARE ALL THE EGG, AND THE EGG IS ALL OF US. …Okay, that may be a stretch, but there is some cool metaphor stuff we can talk about this week. But before we get into The Egg, I figured this would be a good time to talk about how metaphors work, because no joke you could use this episode to teach an English class. So What is a Meta For? Feel free to skim this section if you’re familiar with metaphor theory and how the mapping process works. For those who didn’t take the coolest undergrad class of all time (seriously, you guys, take linguistics courses, take weird-sounding English courses, learn about how language works, it is both enlightening and totally freaking awesome), sit back and let Jo(sen)sei give you a quickie lesson. 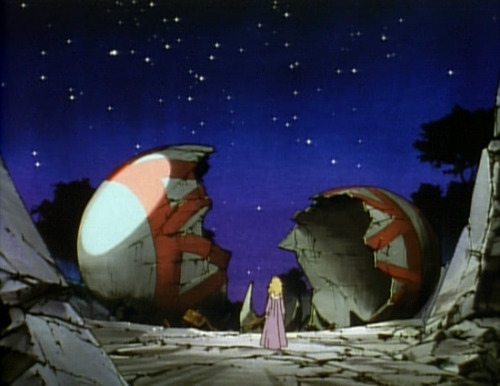 Touga gives us a nice example right from the first episode with his “smash the world’s shell” speech, and even maps the metaphor for us when he says “we are the chick; the world is our egg.” In other words, in the first part of this sentence, Touga maps certain qualities of a chick (the domain) onto the student council (the target). Of course, we know he’s not taking every single quality of the chick. He doesn’t mean that the student council is covered in feather down and struts around and clucks (although now that you mention it…). He’s only taking certain characteristics—the chick’s youth, the way it’s “kept safe” by the egg until it’s mature enough to break free, but then has to break free if it wishes to live—and using that to explain the StuCo’s position. The important and nifty thing about metaphors—especially extended ones used in fiction, like we see in this episode—is that they don’t always have to mean the same thing. SF/Fantasy authors are really good at this, creating worlds or societies that serve as metaphors for different elements of humanity. So, say you read a book where gnomes are marginalized for being different from the human population; depending on your culture and mindset, the gnomes could stand for any number of different marginalized groups. There’s an unfortunate belief held by some that there’s only one right way to read a story, but generally speaking, as long as you can back your interpretation up with some textual evidence, many stories have many different meaning, and these often come out in how we interpret the metaphors used. Anyway, I bring all this up because “Nanami’s Egg” is a fabulous example of getting some serious mileage out of your metaphor, as the domain (the egg) gets mapped on to half a dozen different targets in the span of 24 minutes—sometimes simultaneously. [T]he episode doesn’t settle on one aspect of puberty to be “about.” There’s menstruation subtext in how she finds the egg and all that “late bloomer” business, unexpected pregnancy in Nanami’s terror and motherly doting, sexual activity in Touga’s shaming talk about the “sort of girl” who lays eggs, and so on. A quick addendum: You can also read some abortion metaphors into the way Nanami thinks the other girls eat their eggs. She won’t eat her own, but she does attempt to abandon it, an attempt that ultimately fails because, in the end, she’d rather risk the public censure and shame—even from her brother—rather than give up her egg. It’s brilliant, in a way – these aspects of female adolescence occur separately from each other, but they’re all connected in a bundle of what it means (physically) to “be an adult,” and how that change alters how a young woman is perceived and how that shift in perception then alters how they move through the world. Also of note is how this episode is less about other people shaming Nanami for being different and more about Nanami believing they will if they discover her secret. The only person who actually scorns her is her brother; the others respond to her questions with confusion, concern, or matter-of-factness (as Vrai notes, Saionji’s offer to cook her some eggs is actually kind of sweet—he sees her freaking out and, while he doesn’t understand why, he does try to make her feel better). In other words, the majority of Nanami’s fears are in her head, something that I think is true of a lot of adolescents (girls and boys alike). If the episode has some moral lessons to offer, then they’re probably twofold: One, that making decisions based solely on what other people will think of you tends to lead to loss and regret; and two, that the anxiety caused by what we think will happen is often much worse than what actually would happen if we were just open and honest with others. 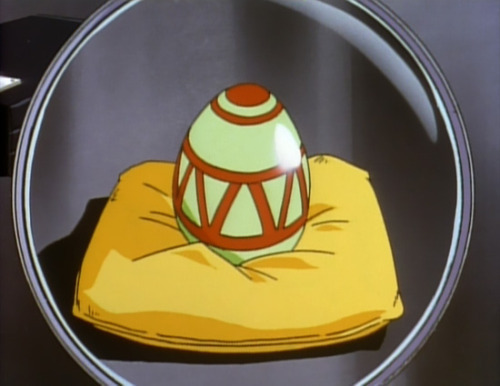 A related but oh-so-slightly different way to view The Egg is as a part of Touga’s old “Smash the World’s Shell” speech. Again, I think the “world’s shell” can take on different meanings in different places, but here (given that we have a literal egg and all) it seems to be pretty clearly tied to adulthood; to the chick breaking free and moving out into the world. This is Nanami’s first step to adulthood, then, and its shown in the way she makes her own decisions at the end, deliberately disobeying her brother in order to save what’s important to her. A curious element of this is seeing how the other characters react to this egg (“world”? ), and considering what that says about their own growth. 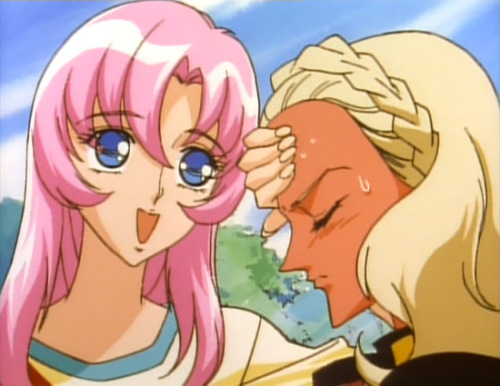 Neither Mitsuru nor Utena ever actually see the egg, highlighting their own relatively innocent worldviews. Miki studies it without really understanding it, fitting in with his position as intelligent but naïve. Juri’s a complicated one, because from Nanami’s perspective she seems the most confident and knowledgeable, but in truth she’s even further removed from the truth than either Utena or Mitsuru (which has sort of been Juri’s M.O.—despite her cool exterior, she’s more insecure and emotionally repressed than anyone). Ironically, Touga rejects the concept of the egg entirely, which I think shows us how far his idea of adulthood is from actual adulthood. 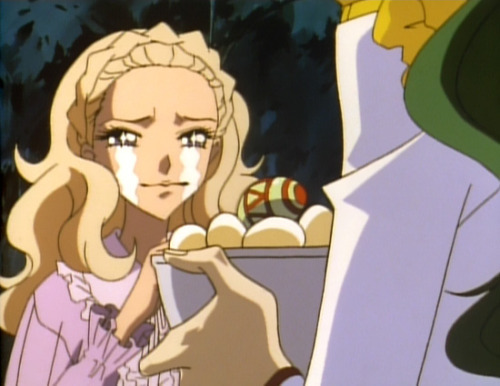 Best of all is Saionji, who’s got no problem cracking eggs but doesn’t understand their significance. No one does, really, except probably Anthy—and, by the end of the episode, maybe Nanami has a small understanding of it, too. For all the wackiness this episode has to offer, it’s major ideas—about social expectations and anxieties, about the responsibilities of adulthood and the loneliness and loss that sometimes come with them (especially when we fail in those responsibilities, as Nanami likely believes she did in raising her egg)—are surprisingly serious, and continue to build on the themes of adolescence and self-awareness that we’ve been seeing more and more with each passing week.